Hello everybody, My name is Somchan PHONETAWA. 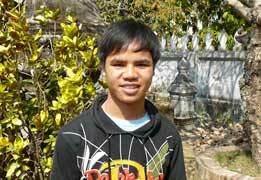 I am 20 years old and I'm an English student at Xayadeth College in Luang Prabang. And I also take extra English classes at Mano English language centre with good English teachers who are from Europe. I was born in 1989 in Ban Phousaly in Viengkham district. I'm single and I'm Khmu ethnic group. In 1995-1999 I studied at primary school in Ban Houykai. 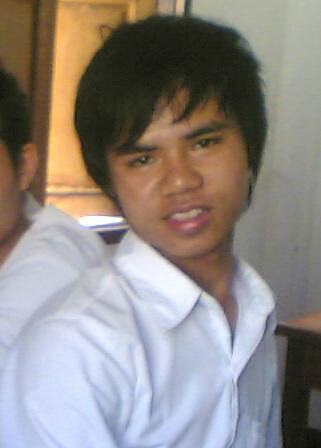 In 2000-2003 I studied at secondary school in Viengkham district. In 2007 after finishing high school I started to study at Xayadeth College and I am still studying there now. I'm majoring in general English. In my free time I like going to the library to read a good book in English. At the weekends I like cycling to the countryside or around the town. I like going trekking very much. 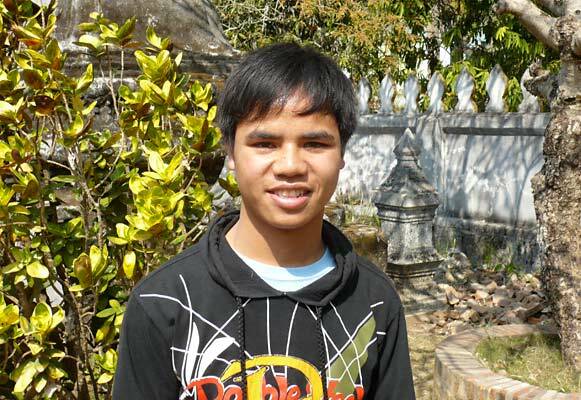 Future plans: After graduating at Xayadeth College I'm going to continue to study at University to improve my English, because I would like to be a very good English teacher and I would like to have my own English language centre like, a branch of Mano English language centre in Viengkham district. There are 6 people in my family. The family lives in Ban Viengkham, Viengkham district. There is a hospital in the village. There is a guesthouse and some small restaurants by the road. I have 1 brother and 3 sisters. Both of my parents are still alive, but they don't live together. They got divorced when I was about 8 years old. My mother's name is Tien. She is 49 years old and she's a farmer. My brother's name is Somphone. He's 23 years old and he's a farmer. My sisters' names are Toun, Bee and Sou. 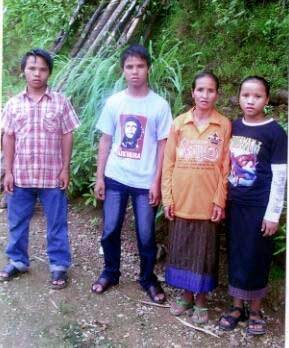 Toun is married to Mr. Thongsouk and they have 2 sons. They don't live with my family. They have their own house. Bee is 17 years old. She's a worker in the wood factory in Bolikhamxai province. Sou is 14 years old and she's a student at secondary school in Viengkham district.